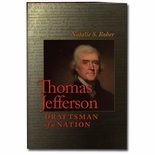 For more than fifty years, Jefferson scholar Julian P. Boyd's study of the evolution of the text of the Declaration of Independence, which the Library of Congress published while the nation was in the throes of World War II, has remained the preeminent textual presentation of the most fundamental document of the United States. 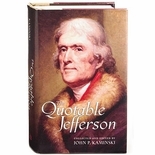 The Declaration of Independence: The Evolution of the Text (1943) was part of a nationwide undertaking meant to celebrate America's fundamental freedoms in conjunction with the bicentennial of the birth of Thomas Jefferson. Out of print for more than forty years, Boyd's study brought together photographic reproductions of all known drafts of the document in one large-format book. In this new edition edited by Gerard W. Gawalt, specialist in American history at the Library of Congress, a fragment of a document unknown to scholars in 1943, the earliest surviving composition fragment of the Declaration, is reproduced in color for the first time. Gawalt explains how the discovery of this fragment sheds light on the process of drafting the Declaration of Independence. Hardback, 102 pages, 47 illustrations.